Creating a successful online learning experience starts with defining the specific knowledge and skills you want your learners to acquire. We collaborate with you to understand your audience and clarify goals. We then design online courses and entire programs to optimize engagement and learner success. We design real-world experiences that make the acquisition of knowledge and skills more meaningful, effective, and appealing. We offer well-rounded exposure to both hard and soft skills training, building simulations, activities, and feedback opportunities to improve learner outcomes. We optimize simple and elegant social interaction which adds a valuable dimension to websites, blogs, user communities, and discussion forums. 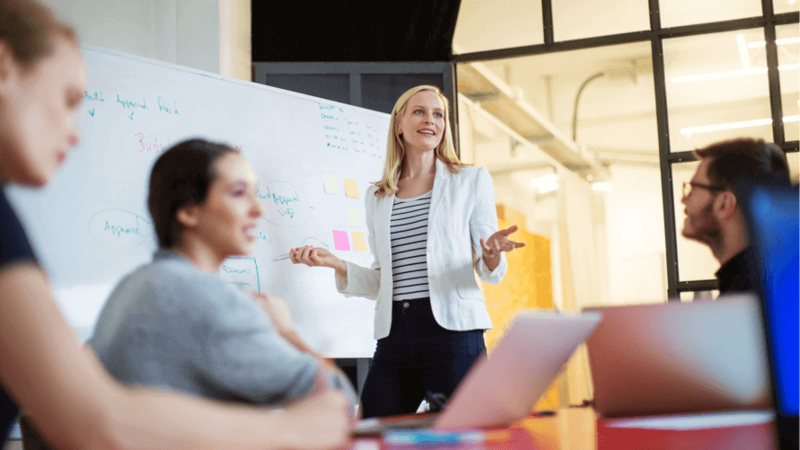 We excel in planning and executing your course or program vision ensuring existing content can be effectively migrated using SCORM, Common Cartridge, and Tin Can standards. We deliver turnkey end-to-end services and support—from user-interface and graphic design to technical development and hosting. We’ve worked with other eLearning vendors and Monarch has consistently been among the best. Their expertise and approach to online training and support make them a pleasure to work with on a variety of projects. We highly appreciate the professionalism and work ethic of the Monarch Media team. They demonstrated uniquely high level of commitment to quality and excellent responsiveness to suggestions and recommendations. The timeliness of all communication, deliverables, and other requirements was exceptional. The team consistently completed all tasks on or ahead of schedule and were eager to receive feedback. . . . To be quite honest, Monarch Media’s project management is the best we have ever seen and as an organization, we learned a great deal from their team in this area. Monarch Media was instrumental in helping us choose appropriate platforms and structures for our various eLearning activities. . . . It has been a pleasure working with Monarch Media staff over the past five years. They helped us to accomplish many of the goals for our project and create many highly effective training opportunities for our stakeholders. Monarch is really easy to work with. Everyone is easy to get ahold of. If we need updates or upgrades, we’ll get a timely answer. Nicki has been great. We really enjoy working with her. She’s on the ball, easy to understand and answers to the point. She’s fantastic! What makes Monarch different? Personal touch, personalities. The project managers are willing to listen to concerns, and propose workable solutions. The Monarch project managers came out and sat through our full live course. They gave valuable perspective toward how we needed to approach it for the online version. With their help, the material became more user-friendly. I loved working with Monarch Media. They are easy to work with. They are professional, competent, responsive, organized, and dependable. They do amazing work. They invested in understanding what we needed and delivered on their promise. I highly recommend them. They have an excellent attitude in approaching every project. They bring a great deal of experience and technical resources to bear on projects. They are flexible when needed, and constantly check in on how they are performing. Monarch Media is a fantastic partner.